Frontloading HQ: The End of the New Hampshire Primary? ...by Death Penalty? Former New Hampshire Republican Party chairman and current Granite state Republican national committeeman, Steve Duprey, set off a bit of a discussion about the New Hampshire presidential primary over the weekend. It did not get a lot of attention because it was inside baseball stuff. ...and everyone was paying attention to what was happening in Iowa anyway. Duprey also said there has been discussion about a “death penalty,” although it is not part of the current rules governing the 2016 cycle’s delegate selection process. He wrote in his report to the NHGOP that some RNC members have discussed a rule that would force candidate who campaigned or allowed their names on the ballot of a state that wasn’t following the RNC schedule to forfeit half of all delegates they earn nationally. Now, obviously that last line is a bit provocative. But let's start from the top. 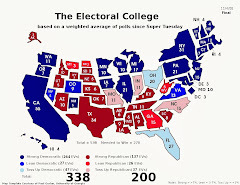 The RNC added for the 2016 cycle a super penalty -- the so-called Bennett rule -- with the intent of significantly curtailing states other than Iowa, New Hampshire, Nevada and South Carolina from holding primaries of caucuses before the first Tuesday in March. 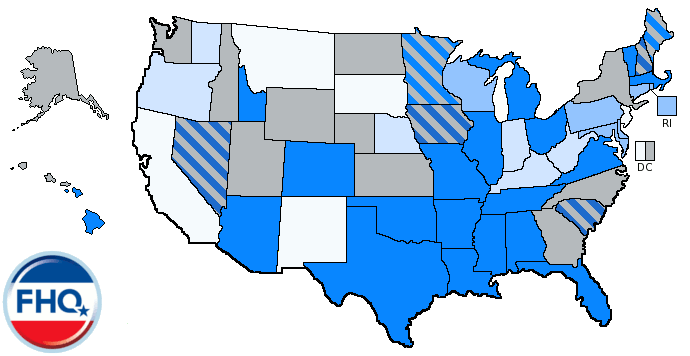 States with delegations of 30 or more would have their delegates reduced to just 12. The reduction would scale a little lower still -- a mere 9 delegates -- for states with delegations of 29 or fewer delegates. This creates a scaleable penalty that hits big states harder than small states while still maintaining a stiff penalty for all. A state like California, for example, would face a more than 90% reduction, but even a state like West Virginia would still be levied a more than 60% penalty. In both cases, the state would have a larger penalty levied on its delegation than the rules that governed the 2012 process would have allowed. Even with that new, more severe penalty, the RNC considered for upping the ante even more with a death penalty. FHQ would be willing to guess that it did not quite work that way as the RNC finalized its rules for 2016. It is more likely that both options -- super penalty and death penalty -- were discussed, but there was more consensus behind the incremental step that the super penalty represented by comparison (to doing nothing or going nuclear with the death penalty). The tabled RNC death penalty is a version of that Democratic rule on steroids. The candidate who campaigns in a rogue state or allows their name to remain on the ballot there under the death penalty would lose half of their delegates accrued nationally. Not just half in the rogue state. That is a significant scare tactic to keep candidates out of states that have violated the rules. And it would certainly give states something to think about. Moving forward to hold a ghost town primary or caucuses may not prove to be all that attractive. How much would this impact New Hampshire and the New Hampshire primary? Not much. Mr. Duprey probably overstated the impact of a potential death penalty on New Hampshire. Under the current RNC rules, New Hampshire and the other carve-out states have one month ahead of the next earliest contest to schedule their primaries and caucuses. It is a sliding scale. If Florida jumps to January 1 then the carve-out states would have a window from then to December 1 in which to schedule their contests without penalty. Only if New Hampshire held a primary before December 1 in that scenario would the Granite state be subject to the effects of the proposed death penalty. 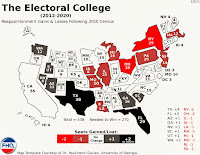 Duprey continued, "Also note that if a party adopted a so called ‘death penalty’ rule it would only be the end of our primary if the national party did not accord us the honor of going first. As I added in my report to state committee members, support for the NH primary’s first in the nation status has never been stronger and a death penalty rule could actually add an even stronger protection to our primary if we were kept first on the schedule, which I believe we would be." Unless some anti-carve-out state sentiment -- well more than the normal sentiment -- develops between now and, say, 2018, then New Hampshire will continue to be afforded the same privileged position it has always had in the presidential nomination process. 1 Mr. Duprey also headed up the committee that handed down recommendations for debates regulation during the Republican nomination process. 2 I try to point this out as much as I can, but often FHQ does not mix this in often enough. It is an important point though. The presidential nomination rules are always a trial and error process. The national parties do not have an opportunity to stress test them before the primaries and caucuses start. The trial part, then, is often by fire. The only test is a primaries and caucuses cycle. And by the time those start, it can often be too late (depending on if and how the states have spent the year prior to the presidential election year adapting to the national party rules). This super penalty is one such example. Right now, in January 2015, it looks like it is working, but that may be different in a month or in six months. 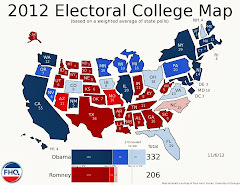 3 It should be noted that Obama, Clinton and the other 2008 Democratic candidates steered clear of states like Florida and Michigan. They may have been less about the rule than about the fact that the candidates and their proxies on the Rules and Bylaws Committee agreed to the addition of that candidate-specific provision. Earlier Convention Forcing South Dakota to Push Presidential Primary Up?